When most people think about blender recipes they think of smoothies, milkshakes, and occasionally soup. Don’t let yourself be limited to that! 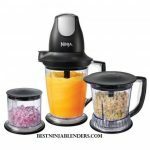 One of my favorite “blender tricks” can save you some money or just help you out when you’re in a pinch. I don’t use powdered sugar too often so it’s easy to forget that I’m out which puts me in a bind when I need it. I hate that feeling of opening the cupboard to get all of the ingredients out only to be missing ONE, don’t you? Especially when I just pulled the cake out of the oven and set it to cool and now I just want to make some icing. Well, that’s not a problem with your handy dandy blender. You can turn plain old sugar into powdered sugar quickly and easily. Let’s compare the prices really quick. 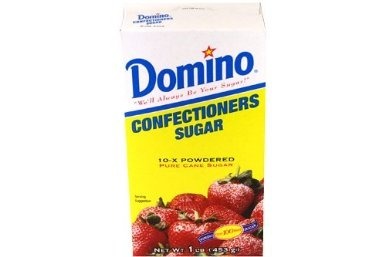 This Domino powdered sugar is currently (as of 10/01/2019) around $7.25 for one pound of powdered sugar. In grocery stores, I see it for around $3 for one pound. 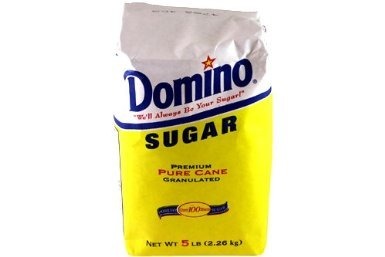 On the other hand, FIVE POUNDS of this Domino sugar is under $2. Last time I bought sugar I think I spent $6 on a 10 pound bag. I’d much rather buy regular sugar than powdered sugar if I can avoid it. There are three things you need to make one cup of powdered sugar. I’ve made it without the cornstarch and it works fine for some recipes but not for others. If you’re sprinkling it on something you don’t need the cornstarch but if you’re baking with it you could end up changing the consistency of the food. 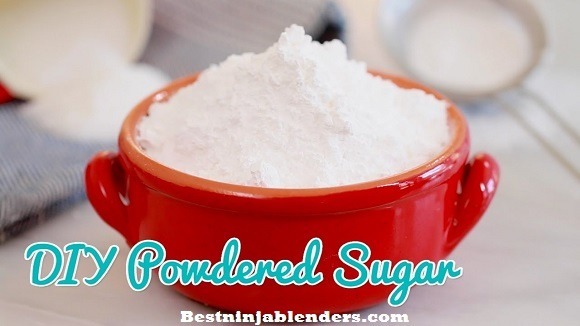 All you need to do is put the sugar and cornstarch in the blender and put the lid in. I suggest putting a towel over it while you blend because some probably will get out and make a mess. 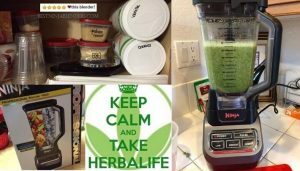 Blend it for about 60 seconds and pop the blender open. If it’s not powdery enough, blend it more for 20 seconds at a time. Now, the blender you have will make a big difference. The sharper the blade and the more powerful the blender the better the sugar will come out. It comes out perfectly in my Vitamix but my friend who has this Oster blender for under $100 said it worked fine for them too. As an added note, don’t do this in a blender with a plastic container. It’ll scratch it up. (I learned this the hard way and now I use the scratched one for this and my new one for everything else.) You want to be using a glass one. Also, this recipe works best if you only make 1-2 cups at a time. More than that doesn’t get to the blades well enough. If this helped you out leave a comment below, share it with your friends, or maybe even pin it on Pinterest!